A Leicester Professor has been recognised with a Platinum Clinical Excellence Award by the Department of Health and Social Care. Melanie Davies CBE, Director of the NIHR Leicester Biomedical Research Centre and Professor of Diabetes Medicine at the University of Leicester, received the award for her research into Type 2 Diabetes, physical activity and health. She is the only woman across the country to have received a Platinum Award this year. The Clinical Excellence Awards (CEA) are administered by the Department of Health (England). The purpose of the awards is to honour NHS consultants and academic GPs who play a significant role in delivering safe and high quality care to patients or in the improvement of public health. Award winners are judged to be medical or dental staff who sustain and improve the NHS, performing above and beyond their expected role. The selection for award winners is therefore a very competitive process. On receiving the award, Professor Davies said: “I am delighted to receive this award along with such an eminent list of NHS consultants and researchers. This recognises the work of the whole of the Diabetes Research Team in Leicester which continues to undertake clinical research of direct relevance to patients and the public and is further recognition of Leicester as a Centre of Excellence for Diabetes”. Professor Davies has over 25 years of experience within the clinical field, working as a diabetologist, physician, NHS Consultant-, and Professor of Diabetes Medicine at the University of Leicester. 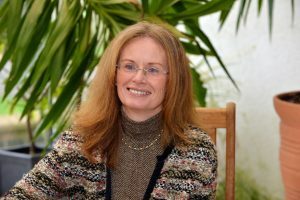 Her work on diabetes has been recognised internationally, and she has been featured in The British Medical Journal, The Lancet and New England Journal of Medicine amongst many others. Melanie currently works as an NIHR Senior Investigator, Director of the NIHR Leicester Biomedical Research Centre, Director Lead for Division 2 of the Clinical Research Network East Midlands, and Principal Investigator on a number of large global studies within the field of diabetes, obesity and cardiovascular disease. Some of Professor Davies’ recent work includes research into preventing Type 2 Diabetes and new therapies for Type 2 Diabetes Mellitus.